Click through for the judges' comments. Entry No. 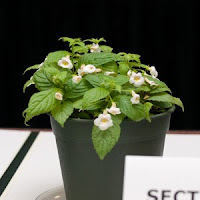 261, Achimenes candida USBRG 96-150, exhibited by Karyn Cichocki. Score: 87. Second Place.